Trying to control eczema, especially when allergies and cold weather are involved, can be incredibly hard! We may have just the thing for you! A few months ago, Callum and I worked with Allergy UK and Neutral to explain how eczema and allergies are interlinked. It also gave a bit of an insight into the difficulties faced when dealing with multiple allergies and severe eczema. 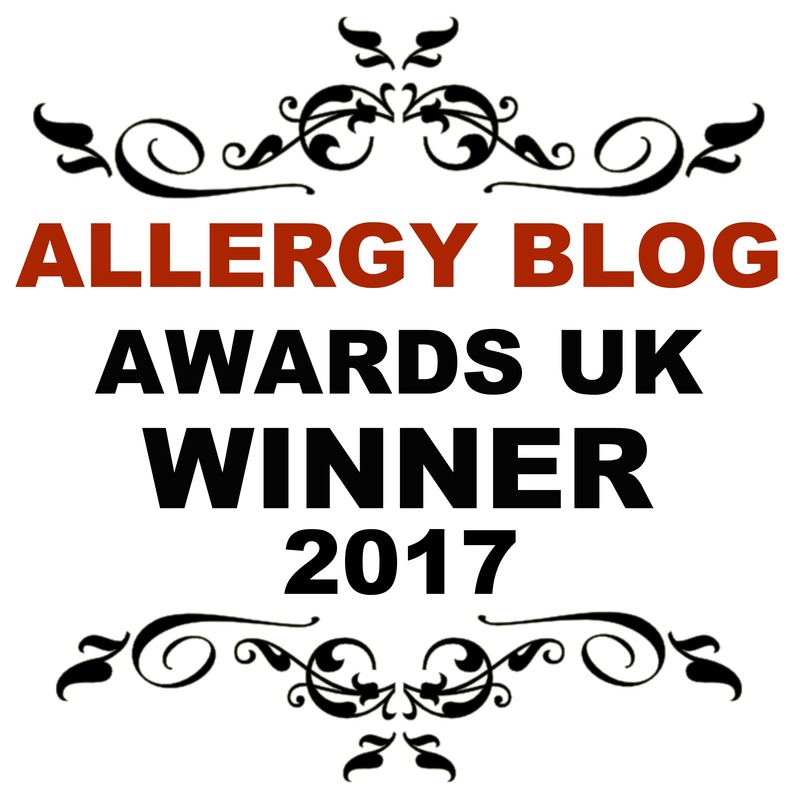 I was interviewed by the lovely Sophie from Allergy UK, and she asked me questions which ended up unlocking a particularly difficult reaction that Callum had. It caused a knock-on effect with his eczema, making it flare dreadfully and resulted in a serious staph infection. Callum was dangerously ill and the A&E consultants initially suspected meningitis due to the way his skin looked. It was a very frightening time, and we are so thankful that Callum pulled through. It started when he was just weeks old, initially as an angry rash on his face before eventually affecting his whole body. It took months to get control back, and we’ve struggled ever since to keep it under control. As a result, I’ve picked up many tips and tricks along the way of how to live with eczema, and key things to watch out for! I’ve written about them and you can find them all here. Knowing how hard it is to keep a good balance, using gentle washing powder, conditioner and so on definitely help. Neutral gave us some of their range, and as a thank you to all of our lovely followers and supporters, we want to give these to one of you! How would you like to win Neutral products?! QUESTION: What is your top tip for dealing with eczema? The prize will be sent out to the winner week commencing 5th February 2018! My eczema is mainly on my hands so I try not to over wash my hands and I moisturise regularly using non-scented hand creams for dry skin. My top tip is regular luke warm bleach baths. I'd love to try it, definitely something different from your average cleaning brand. Avoid all fragrances and be consistent with applying creams (aqueous cream works best for me). Would definitely like to try these! I test wash a trainer sock before using new detergent on bedding or clothing which limits any reaction to a relatively small area. Great prize. There are some of us in the family with eczema and / or allergy. Finding the most appropriate products can be time consuming. Information, advice, support from peers ( others in a similar position) is hugely beneficial. Thank - you! This would be great to win for my daughter sensitive skin! I always have E45 cream to hand, but having cotton sheets/clothing always helps. Just use common sense and stick to gentle laundry products and use bodycare products for sensitive skin. Avoid perfumed products and if you can afford specialist products all the better. Also, after bathing/showering, pat yourself dry with a towel rater than rubbing. My top tip has to be moisturise your skin first thing in the morning and last thing at night it helps me with it. My hands are worst affected by eczema. I find that if I always wear gloves when in contact with water and even wearing hypoallergenic disposable gloves when I'm cleaning helps as dust seems to irritate it. Sounds like a great selection of products especially those with allergies, eczema and sensitive skin. I have sensitive skin I had Eczema from birth to my early 30's. Anything that can help is always welcome! Really love trying new products and as I have eczema, alway looking for something different. Wrap yourself up, wear jumpers and comfy trousers so you don't have the opening to freely itch. As well as this, keep at the right temperature, being too warm is going to cause irritation and you'll find yourself with the constant need to itch. My top tip is try to avoid foods that are acidic that have high histamine levels. Tomatoes and strawberries cause huge eczema flare ups for my little boy. Thank you. My top tip is oatmeal baths - fill a pop sock with oatmeal, tie the top and hang over the tap for a milky, soothing bath. I find oatmeal baths and also Aveno oat based products are both very good at bringing some relief . I'd love to try this, as I suffer from Psoriasis. For dealing with eczema i would steer well away from highly scented washing powders. I would also only use natural and organic skin care products and toiletries and hopefully this would help. my little boy suffers with terrible eczema so would love the chance to try some natural products! My daughter has eczema. I would like to try some different products. My top tip would be to keep well moisturised the whole day through, to try and remove the temptation to scratch and cause further soreness. Would love to try these as my husband suffers from psoriasis. Sure this would be good for my Psoriasis. Looks amazing. I'll have to check these products out! I've just seen the above question- sorry, I missed it before! My tip would be to avoid certain harsh, artificial chemicals where possible! My daughter has eczema, this would be amazing to win. This is perfect for my dry patches! My daughter has sensitive skin and this would be perfect for her. Very interested in trying these products. Keep a food diary to make sure you don't miss any unexpected triggers. At one stage my daughter developed a large raw patch of eczema on the outside of one of her thighs which resisted all efforts to get rid of it until I identified that it was related to Ribena. We removed that completely from her diet and that patch cleared up. wow, fantastic organic products, great for those including me with flarey skin! These products sounds really fantastic. Just what my family needs. Moisturise day and night and only use products that are sympathetic to your skin. I find that limiting the amount of dairy I eat helps me. I would love to give these products a try! Awesome product and would love to try out on my eczema skin. I'd like to see if it helped with my allergies as well. Great article! These products look great, I think they’d really help with my sensitive skin. Would love to try these products. My eldest daughter has had eczema since she was a baby and we have tried lots of non-bio products to no avail. Washing my hands too much sets mine off, so it that case get the hubby to do all the dirty jobs around the house! These look like fab products. I cant use many washing products due to itchy skin so would be good to try these. I have so many problems with itchy skin after washing stuff, this would be interesting to try! Thankyou for the competition. 'Great prize'. I have eczema on my elbow joints and wrists, so make sure to use non-bio products so as not to irritate them! Great giveaway, try smacking rather than scratching the itch & night time burning itching can be relieved by soaking in really cold water until it goes numb! id love to try this! my skin is always itchy! This winter I have suffered quite badly with skin irritations. Since changing to laundry products for sensitive skin there has been a big improvement. Great prize I would love to try it! Never tried these products but they seem very good. Beta Carotene (Viamin A) in doses of 100,000IU should help to clear it up. Love to try these we have sensitive skin at our house and like natural products. Thanks for the chance to win some . Try not to scratch, get a good detergent and shower gel, moisturise regularly. With my sensitive skin, this would be ideal! I've been using Neutral laundry liquid for several months now and my eczema has improved a lot. I'm very pleasantly surprised at how effective the cleaning is too, other specialist laundry products I've used haven't been as good at actually cleaning as their harsher rivals. My friend swears by tea tree lotion, it has actually cleared it up for her (and she had it really bad, it was so sore bless her). Using good fabric conditioner and also products that are gentle on skin to not make it worse! These look great for anyone with sensitive skin, would love to try them. Great giveaway! I would love to win and try them all! My husband has very sensitive skin and these products would be invaluable to him. My eczema is driving me crazy right now. I even scratch myself in my sleep! It's mostly on my hands and wrists, but that's more than enough for me! These are some great products. I suffer really badly with some products making me incredibly itchy or bringing me up in rashes so anything like this is always worth a try. I'm finding that as I'm getting older my allergic reactions are getting ever stronger and even more things are upsetting either my stomach or skin. Anything that I can do to reduce the likelihood of flare-ups are always welcome. This sounds great thank you. A friend gave me a tip: Lush Dream Cream! It really is amazing, I combine it with a thick ointment my doctor prescribed and that seems to help the most! I would love to try these products for my day as she has bad eczema. I have tried so many things to help her. I think keeping the skin moisturised constantly and drinking lots of water helps her. My goddaughter has eczema so she could do with this. We are a family of sensitive skin, these products looks just perfect for us lot! I've had some sensitive skin problems so these products might be just the thing. I would love to try this to see if it helped with our dry and itchy skin. This is a great price. My kids have sensitive skin so I would love to win it. My husband suffers from eczema on his legs and sometimes on his arms, so I use a non-bio detergent on clothes and linens. In spite of this he can suffer flare-ups where it gets much worse, so I'm always interested in trying other suitable products. I would love to try these products. My skin in very dry and sensitive. I haven't found the perfect product yet. These sound fab. I've had eczema since I was a baby, so would love to try them! Thank you for the great competition! my daughter, fiance' and myself all suffer with eczema so this would be well used in our house hold! Sounds great, my son and i both have eczema and rely on different moisturisers. I have mild dry skin and I'd like to try something new. This would be great for my daughter, thanks. Use moisturiser and don't scratch the skin. absolutely loving this prize, would be perfect for my family! I've been wanted to try a natural washing powder for a while now but haven't known which brand to try! Sounds great would love to try as my step son suffers from eczema. Fab giveaway thanks for the chance. Have very sensitive skin which flares up if I use the wrong products so would love to give these a try. This is a gem of a prize for anyone with skin sensitivity. E45 is always in my cupboard. Both of my daughters' have eczema, and despite using numerous emollients, creams, potions and lotions and trying a 1000 and 1 different laundry products nothing seems to help. I would love to try this to see if it does have an affect on their skin. I need to try this. My husband, son and grandson all suffer from sensitive skin and have eczema attacks. It sounds wonderful! This would be really great in our house. Great competition and perfect for sensitive skin!